Home Fitness Is Running Good for You? A lot of people that want to start running are wary as to whether it is actually good for your health, and so often come up with the question, is running good for you?. Running gets a lot of bad press like many other sports, however; maybe it is not as bad as we thought. Running is actually both good and bad for your health so let’s take a look first at why it is good for you. The main reason why running is so good for you is that it significantly reduces your risk of cardiovascular disease and this is the number 1 killer in women. It also has a number of other benefits and positive effects on cardiovascular disease like decreasing the risk of clot formation, averting hardening of the arteries, strengthening heart muscle, reducing cholesterol and increasing HDL cholesterol. Dr Williams from Lawrence Berkeley Laboratory in California found and published some research which showed that runners who focused on speed work had a better result in reducing triglycerides. A stroke is the 2nd biggest killer of women, and a lot of cardiovascular exercise which includes running reduces the risk of this. Studies have also shown that physical activity reduces the risk of breast cancer. The New England Journal of Medicine study showed that women that were active had a 37% lesser risk of breast cancer compared to a set of women that were in-active. 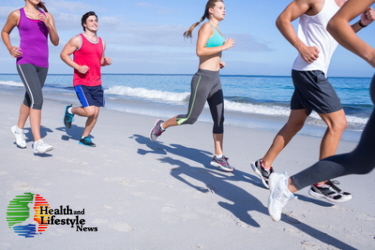 Some researchers have found that physical exercise also enhances the immune system as they have found increased levels of the cells that attack disease (lymphocytes), in the blood throughout and after exercise. However, one thing to bear in mind is, if you are looking to run a marathon, sometimes this can have a negative effect as when the lymphocytes are worn-out after a marathon you are left susceptible to viral infections. More benefits of physical activity such as running helps ease menstrual and post-menopausal symptoms, it builds up your respiratory system and can help prevent bone loss which can be linked with age by preventing a decline in reaction time. It also helps diabetics to have better control over their blood sugar and keep your bowel area running regularly. So is Running Good for You or Does it Have a Negative Side? let’s take a look at some of the negatives that you may have heard about that is associated with running. Ripped tendons, bad knees and torn cartilage are all things we have heard of, however if you are looking at running for around 30 minutes a few times a week then this isn’t something that should worry you. If you are looking to really push your body and take running more seriously than just doing it a few times a week for fitness, this can then result in damage. The extra strain of pushing your body to the limit could result in higher risks of arthritis, torn tendons and damage to your cartilage. If you are aware of these risks however, you can try and prevent them. Stretching is very important to strengthen your muscles that support your hip joints, knee and ankles. The odd 10k run can be enjoyable and something to build up to, but listen to your body when it has had enough and don’t push yourself too much.